Seed of Hope lives on. 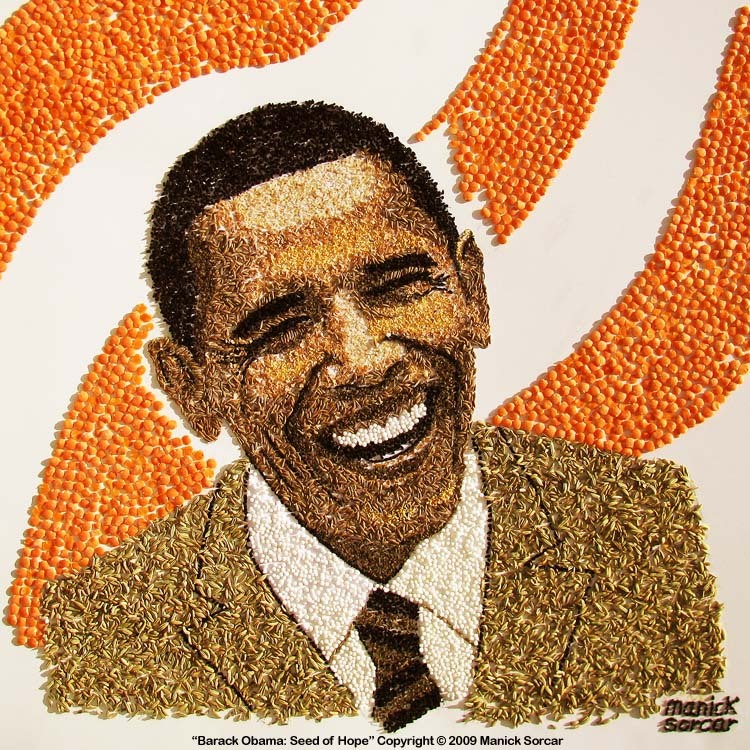 Eight years ago, when Barack Obama was elected as the first African-American President of the USA, I celebrated the historic milestone by crafting his portrait using one of the most basic elements: seeds. To me, he represented a ‘seed of hope’. He remains the same today. Obamas's last day of presidency is January 20, 2017. As I look back the last eight years of the Obama administration and see his accomplishments amidst the political challenges, he remains a constant source of inspiration to me, millions of others in the United States of America and abroad.